Do any of these circumstances sound familiar? Two brothers, each a 50% shareholder in a plastics manufacturing and distribution business, were involved in constant conflict causing sales to decline leading to an impasse. Shareholder litigation ensued alleging breach of fiduciary duty and loyalty by one brother. Subsequent arbitration nullified one brother’s attempt to be bought out at investment value based on a previous sale of a patent-protected division of the Company. A disadvantaged business entity with disproportionate power between Founder holding a 49% interest and the minority partner owning 51% led to inevitable discord that provoked a shareholder dispute. Contract provisions prevented Founder from being bought out at other than fair market value under the shareholders’ agreement. Three owners of a high technology medical services provider sought to end their relationship due to disagreements over profit-sharing. Dispute required the evaluation of a buyout provision in their joint venture agreement. The value to be calculated was based on a formula with a floor based on the partners’ capital accounts, and if contested, a default value based on fair market value. The unilateral transfer of a nursing home’s assets to a third party by one 50% shareholder led to an adversary proceeding in bankruptcy. In addition to breaches of fiduciary duty, loyalty, and due care, the transaction was deemed fraudulent after an evaluation of the fair value of the assets that yielded an amount greater than the consideration received from the transferee. An heiress sued her sister and brother-in-law for breach of fiduciary duty and mismanagement of a $150 million apparel manufacturing and distribution business. The shareholder litigation that ensued required a review of the company’s performance, management’s operating and financial policies, and valuation for buy-out purposes under state law. Breakup of a professional services Firm resulted in allegations of breach of contract and breach of fiduciary duty. We analyzed the Firms partnership agreements and performed retroactive valuations to determine the parties’ starting capital accounts. Winding up of partnership then involved forensic accounting to determine the true contributions and distributions of the parties to the business enterprise. Distribution joint venture between unrelated parties dissolved over allegations of mismanagement, fraud, and conversion of intellectual property rights. Aggrieved party sought economic and statutory damages for patent and trademark infringement. We performed feasibility and market penetration analyses to disprove the amount of damages by another expert. Two nephews trying to oust their Uncle, an original Founder of a food distribution business sued to elect buyout of the Uncle’s one-third interest. We performed a forensic analysis of the business prior to estimating the value of the Uncle’s business under the State’s fair value statute. Opposing expert’s report did not consider any of our forensic findings, namely under-reported income collections. The Commercial Division Judge ruled in our favor 100% after applying our forensic findings and comprehensive valuation using the income and market approaches to derive the Uncle’s fair value. Two long-time shareholders in a mail-order business had gone their separate ways over 20 years prior to this shareholder dispute. While one partner remained active, the other partner became a passive partner not requiring operating distributions but only a future buyout of his 50% interest. When the operating partner issued himself shares without notifying the passive partner to control the Company and setup affiliates that were filtering the profits, a lawsuit ensued. Our subsequent forensic investigation proved the diversion of Company profits in the form of reimbursement of operating expenses to the affiliated companies. The Court pierced the corporate veil and allowed the valuation of the total business enterprise, including the affiliates, in an arbitration fair value proceeding. When one of four shareholders in an elevator installation and servicing company died, two of the remaining three shareholders forced out the remaining partner in an oppressive manner. The oppressed shareholder hired us to determine the value of his remaining one-third interest as there was no buyout of the decedent 25% shareholder. After a forensic analysis of the Company, we determined the oppressed shareholder’s fair value at 25% and 33.33% depending upon application under the Business Corporation Law. The wife of a luxury retail jeweler filed for divorce and sought to appraise the husband’s businesses to garner appreciation under equitable distribution and also to obtain reasonable spousal maintenance. After a forensic accounting of the business and a lifestyle analysis, we were able to allocate the owner’s cash flow between personal and business perquisites. The evaluations determined the appreciation in the owner’s businesses from the time of marriage to commencement and provided the basis to limit wife’s request for long-term spousal maintenance after a 25-year marriage to ten years. We presented our findings to the parties’ Counsel prior to trial, and the Court during trial and post-trial in this protracted litigation. The wife of a real estate mogul filed suit for divorce wherein the parties had a postnuptial agreement in place specifying separate property assets. 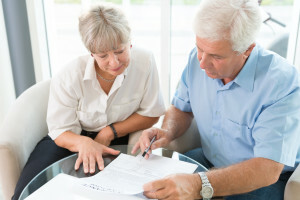 Prior to the settlement of the divorce, the husband died entitling the wife to a specified percentage of the net estate rather than minimal separate property assets. Executor of the estate, deceased husband’s brother, filed a fraudulent Estate Tax Form 706 and statutory accounting with the Surrogate’s Court in order to minimize the tacit bequest left to the wife. After forensic investigation and re-valuation of over 35 real estate properties and related entities, we were able to show that the estate filings were grossly understated resulting in a significant settlement for wife. Upon our initial meeting, we listen carefully to you and your advisors. We often conduct a preliminary screening of the parties involved and desired outcomes before accepting a case. Once accepted, however, we employ and maintain the rigorous standards required  by our licensing and professional organizations, USPAP  and the BCL . Licensed Certified Public Accountants by the NYS Department of Education and the NC Board of CPA Examiners; credentials bestowed by the AICPA, the Institute of Business Appraisers, and American Society of Appraisers. Uniform Standards of Professional Appraisal Practice; promulgated by the Appraisal Foundation. Business Corporation Law; in New York, known as N.Y. BSC. Law § 101 to § 2001 and G.S. Chapter 55 in North Carolina.